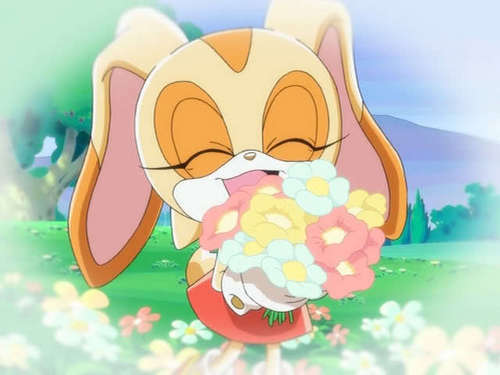 cream is so cute. ^.^. Wallpaper and background images in the Cream the Rabbit club tagged: cream. cute. i love it! thanks for putting this pic on fan pop! now this is so cute!!! I felt lonley I just...I was bored and I missed my mom! I always did like making "Flower-Crowns"
When ever I get to see her I squeeze her soooooooo tight! Shes just soooooo frickin adorable!!!!!!!! So.... CUTE!!! So... UNDERRATED!!! If she was real.... I'D MARRY HER SHE'S THE PERFECT GIRL FOR ME! Cream is too yuong to marry anyboby yet.